Greenwich council are seeing a lot less income than expected this financial year across a variety of areas. The main drop is from parking income. It’s £2.1m below expectations. £1.7m of that is from on-street parking. This is attributed, in part, to the opening of Tesco which offers free parking. In addition off-street parking has seen £427k less income than budgeted. Has the superstore brought more problems than it has solved? It does not seem to have arrested the decline in the High Street. Marks & Spencer have departed and are moving to a giant out-of-town barn in Charlton. 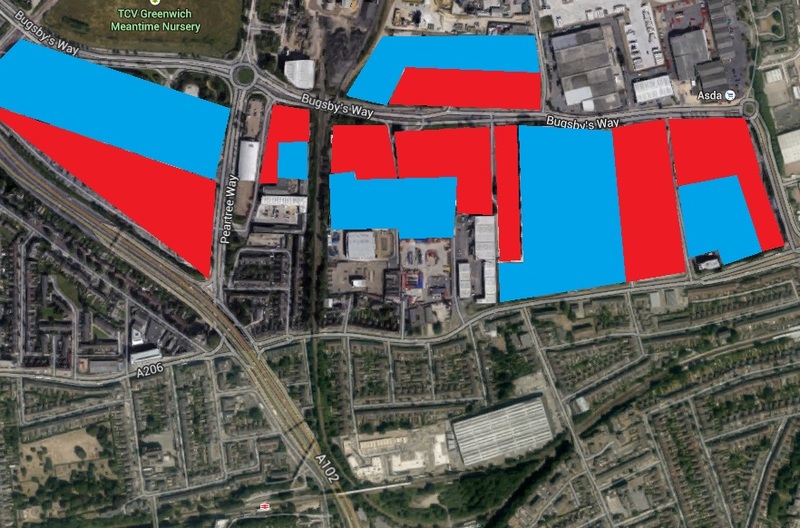 All the forthcoming retail sheds in Charlton offer free parking which will further increase the financial pressure, and they cover a massive amount of land. This inefficient increase in land allocated for retail sheds and car parking, during a housing crises, is encouraged in the recent council masterplan for the area. 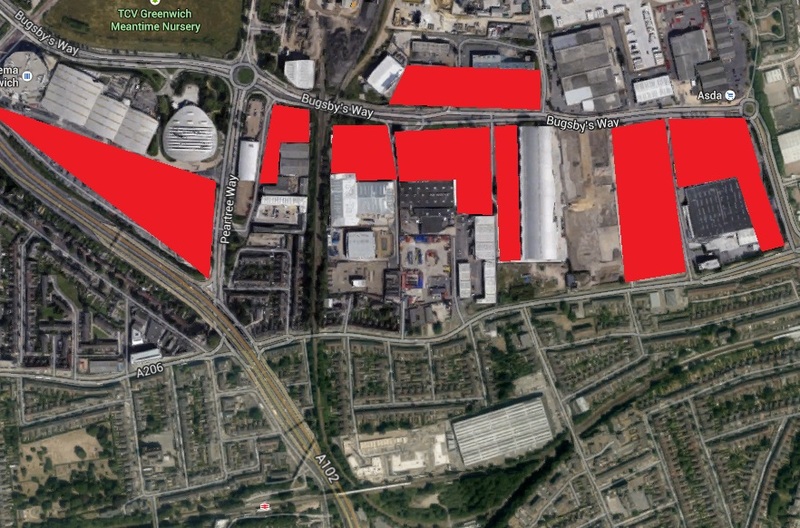 See below for all the areas of free car parking available in a couple of years once Sainsbury’s, Marks & Spencer and Brocklebank retail park opens – a huge amount of land wasted close to zone 2 London. Much of this area is a 5-10 minute walk to Charlton & Westcombe park stations. Instead of adopting a long term strategy to increase housing and mixed-use developments in this retail barn heavy area, recent plans have proliferated car-dependent shops at the expense of much needed housing, as well as affecting the future of Woolwich as a destination worth visiting for shopping and will further hamper parking income. One developer has ignored the masterplan and is proposing housing in this area. It would be a decent addition to the area, and ticks the boxes the masterplan should have offered as a solution for the area. Retail space at street level facing onto Woolwich Road would bring life to this area. Decent density provides a large number of flats without being overbearing. The curved corner offers a decent response to the site. 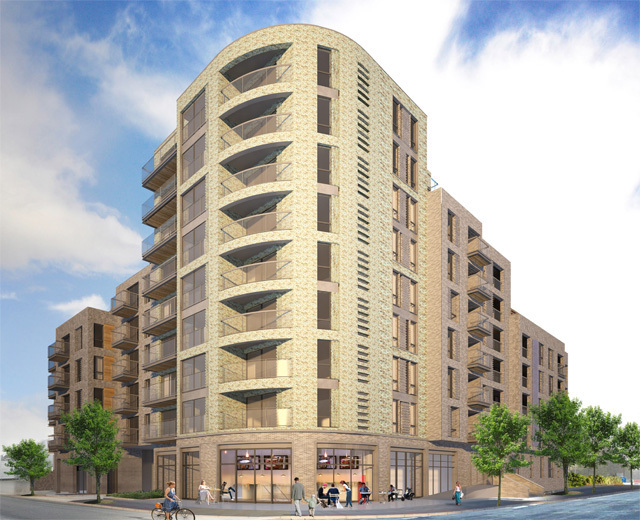 It’s disappointing that Sainsbury’s didn’t follow this model as many of their other London sites look to move to mixed uses including housing. One other factor that can’t be helping Greenwich’s poor parking income is allowing illegal parking to proliferate unchallenged. 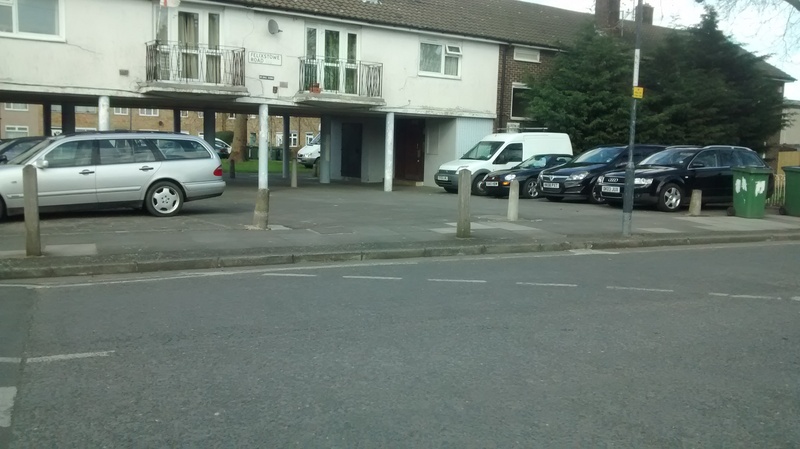 Earlier I was in Abbey Wood and passing an area where a controlled parking zone is in operation. I saw, as I almost always do , numerous cars just go off-road to park on paving and grass. I’ve never seen a ticket. See all the various bollards? More messy street furniture that clearly doesn’t work. That’s 8 cars off-road and a van parked on grass behind. To be honest, cars on the paving is not a big deal here as they’re not blocking pedestrians. But as the council never seems to stop this or ticket then other people realise they can park blocking pavements, or go onto grassed areas like the van behind. These areas are for kids play, and cars and vans turn these areas into muddy areas other a period of time. I saw a couple of other cars on grass in just a 5 minute walk. One visit by parking attendants would spot numerous badly parked cars, dissuade it in future, and bring in income but it never happens. Never have I seen tickets applied to cars badly parked on many walks in this area going back years. Clearly if they did people wouldn’t do it on such a wide level. You may expect a cash strapped department to do so. As for the various bollards scattered about, a simple consistent row of one simple design at that location or around grassed areas would look better and be effective. I noticed where attempts had been made to stop parking on grass really ugly stainless steel barriers had been used. So the choice at the moment seems to be grassed areas becoming car parks and muddy without enforcement or ugly barriers to stop it? Come on Greenwich council, you can do a hell of a lot better than this. Greenwich will shortly expand the controlled parking zone here as Crossrail arrives. Even more people will simply park off-road, or head to the new Sainsbury’s superstore two minutes away opening in July, to use the free parking. At least that store has parking below the shop and a small element of housing, albeit no affordable housing. Marginally better than Charlton then, but it wont do much for the housing problem, nor council finances.